AmTrust Financial Services, Inc. was founded in 1998 to provide workers’ compensation insurance to small businesses across the United States. Through acquisitions and organic growth, AmTrust Financial Services has since grown to become a multinational property and casualty insurer specializing in coverage for small- to mid-sized businesses. 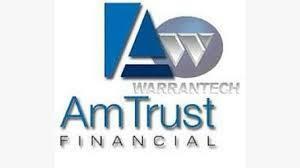 AmTrust’s financial stability is based upon a philosophy of niche diversity with a focus on low-hazard risk.